The Blue Heron apartments have made my life 100% better. It is a wonderful place to live and the LEADS management team is always there if we need anything. LEADS is recognized as a leader among community action agencies for its innovative ways of meeting needs. Nowhere is this more evident in the housing division. 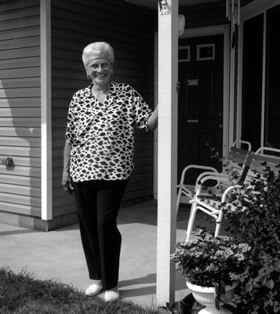 LEADS offers quality affordable housing for seniors and families in 21 counties throughout Ohio. LEADS currently operates 38 properties and more than 1204 units in Ohio. If you are interested in housing, please view our housing information and call the property office and/or LEADS main office at (740) 349-8606. LEADS presently offers housing in Licking, Knox, Muskingum, Fairfield, Champaign, Belmont, Clark, Clermont, Adams, Richland, Tuscarawas, Perry, Morrow, Crawford, Morgan, Franklin, Ashland, Washington, Pickaway, Greene and Huron. Click on each county on the map below to view more detail of housing available in the area. LEADS Property Management is a diverse property management organization, which was organized in 1995. Currently, LEADS is responsible for the successful operation of 36 properties and more than 800 units in Ohio. LEADS Asset Management works closely with the management companies who do the pre-leasing, day-to-day operations, compliance monitoring and oversight for each property. The management companies that LEADS works with are Gorsuch, Fairfield Homes, Millennia, Adams-Brown counties Economic Opportunities Inc, Sawmill Road Management, Community Investments Management Service (CIMS), The Woda Group, RLJ Management, CCEDEC, The Provident Companies. LEADS provides opportunities and services that empower the residents of their rental units. The Site Manager and Supportive Service Coordinator coordinate and ensure linkages to local service organizations. Aggressive affirmative marketing is undertaken by the project sponsor and property manager to encourage referrals from organizations serving low to moderate income households. Additionally, LEADS actively assist the project residents to access community-wide social services on an as-needed basis. LEADS provides links to various agencies in the area of services they cannot provide. Services that are available include: case management, food services, emergency services, home health service, credit counseling, social activities and continuing education.